The news seemed to come out of nowhere. Venezuelan President Nicolas Maduro announced his "important working visit"with Russian President Vladimir Putin on Twitter. It seems that Putin is happy to continue to lend a helping hand to Venezuela. Maduro's visit comes as the country's economy is spiraling and it is increasing isolated on the world stage. The president has been condemned for ordering violent measures against the opposition and protesters. Putin acknowledged Maduro's challenges: "We know and understand that the situation in Venezuela is still difficult." And the Russian president praised his counterpart's efforts to reach a "mutual understanding in society" and even warned that he condemns any attempt to "change the situation [in Venezuela] with force." Putin is known to have a natural distrust for coups and popular uprisings. The Russian president's gracious tone might seem surprising considering the financial imbalance between the countries. Ahead of the meeting, Kremlin spokesman Dmitry Peskov said the presidents would discuss the possibility of financial aid for Venezuela. "That is why Maduro is visiting," he said. Russia is an important creditor for Venezuela. The government and the Russian oil giant Rosneft have lent Venezuela at least $17 billion (€15 billion) since 2006, according to the news agency Reuters. Igor Sechin, Rosneft's chief executive, reportedly flew to Caracas in November to complain about delayed oil shipments that are supposed to repay much of Venezuela's debt. The timing shows that Russia is not merely interested in providing charity. 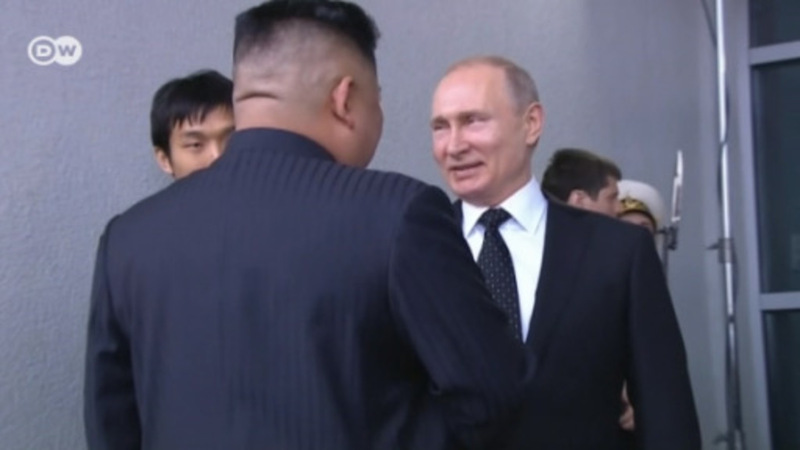 Putin and Maduro had their tete-a-tete just before the OPEC meeting in Vienna, where members will discuss cutting oil production to drive up global prices. Russia will be one of the countries taking part in additional talks on Friday, since it is not a member of OPEC. The Venezuelan and Russian economies are highly dependent on the price of oil. Artur Demchuk, the deputy dean of the Faculty of Political Science at Moscow State University, said he thought that agreeing to an "action plan" for cutting oil production was the main factor for the talks in Moscow. Demchuk, whose research areas include Latin America, said Russia and Venezuela would seek to present a "united front" at the OPEC meeting, and pointed to the countries' historically close political and economic ties, which particularly flourished under Maduro's predecessor, President Hugo Chavez. Alina Shcherbakova, an associate professor at the Higher School of Economics, even argues that Russia needs to preserve the relationship to get its way in the oil market. "Venezuela is a member of Opec, and Russia isn't," she said. "So, our talks with Venezuela will guarantee that Venezuela can also advance Russian interests." Bilateral trade was clearly high on the agenda of this meeting for the Kremlin — and not just when it comes to the oil industry. At the meeting, Putin pointed out that, after "going through difficult times in the past few years," trade between Russia and Venezuela is back on the up. And, ahead of the meeting, Putin's aide Yuri Ushakov specifically pointed out that agriculture is an "important strand of our work together," explaining that Russia exported 250,000 tons of wheat to Venezuela. Shcherbakova said this arrangement had benefits for both sides. On the one hand, it is important for Venezuela's food security to import Russian wheat. Also, she said, "agriculture has become a priority branch for the Russian economy." Russia's new focus on agriculture has to do in part with the international sanctions imposed after the annexation of the Crimean Peninsula from Ukraine in 2014. The Kremlin has reacted with countersanctions, which means that it now does not import certain foods and agricultural products from the countries that originally sanctioned Russia. As a result, Shcherbakova said, the country is looking for new partners to replenish the lost goods, but it is also "trying to gain a firm position as an exporter of food on the international market" as prices increase worldwide. "To have such a stable supply channel for our wheat [in Venezuela] is beneficial for our economy, especially because the importance of the agricultural sector is growing for Russia right now," Shcherbakova said. Though the countries have long-standing ties, the partnership is all the more important for Russia against the backdrop of its increasing global isolation. Venezuela, too, is under international sanctions, which the Kremlin condemned this week. The political scientist Demchuk called Venezuela one of Russia's "main partners in Latin America." And, with no sign that the sanctions will be dropped, he said it remained all the more important for Moscow to be able to have a long-term "strategic partner" in Venezuela — particularly on the international stage. Demchuk said Venezuela had "almost always" supported Russia in votes before the UN General Assembly and other international organizations. Venezuela was also one of the few countries to recognize the annexed Crimean Peninsula as part of Russia and to recognize the Russia-supported breakaway regions of Abkhazia and South Ossetia in the Caucasus. Sanctions have pushed Russia to look for new partners in Asia, Africa and Latin America in recent years. And, though Venezuela's domestic situation is far from stable, Maduro is a partner Putin can count on. In the long term, Demchuk said, Russia might even look into setting up military facilities in Venezuela. Do sanctions against Russia work?